After working in the financial services sector for 26 years before being made redundant, I came to realise that we were spending all our free time in the Highlands and exploring the coast and hills of what we felt was one of the best parts of the world. It was always my dream to live somewhere close to the sea on the West Coast of Scotland, enjoying the magnificent views, the relaxed pace of life, watching the seasons change and the wildlife come and go, but we always felt this was just a dream. In 2014 the opportunity came up to acquire 'Silver Darlings' (though it was not named that at the time) and Katy and I both decided this was the opportunity for us and a chance to move and make a new life. 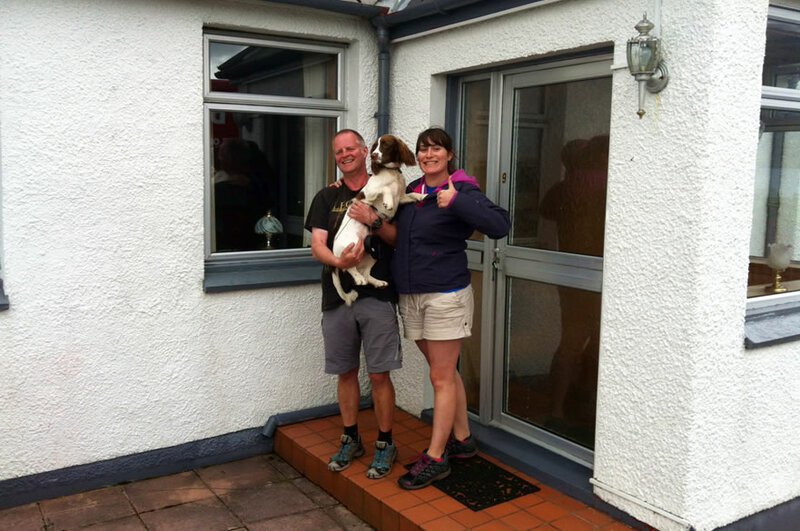 We have had immense fun, though a lot of hard work upgrading the property (and the work will no doubt go on!) ensuring we could offer fabulous value for money, cosy comfortable accommodation and a chance to share what we have come to love and appreciate with others. Part of this is welcoming others here to stay and enjoy what we have and also when it comes to cooking, we aim to use top quality, locally produced ingredients as much as possible when catering for our guests. I grew up in Liverpool and spent every summer holiday as a child, camping on the West Coast of Scotland with my family. I have always loved wildlife, the outdoors and exploring the Scottish Highlands whether it be by foot, mountain bike or kayak. I worked as a Drama Teacher for 9 years in Glasgow but when the opportunity arose for us to move to Ullapool and begin our new venture we both jumped at the chance! I still enjoy teaching and I work as a part-time supply teacher in several schools in the area. I am very sociable and enjoy meeting new and interesting people. Being a host at Silver Darlings is the perfect opportunity to welcome people from all over the world into our home. We always have loved this area but since moving here have come to enjoy long walks with our Spaniel 'Isla' along the coast, hills, forests and countryside around Ullapool. We are keen hill walkers, though always think we could do more than we do! We also enjoy cycling, especially round the West Coast of Scotland, both on road and off road. There are many, many miles of road, track and paths still to be explored. We love watching wildlife and nature and seeing the changes that each season brings. It really is a privilege to be living where we are and we hope you will choose to come and share that with us - we look forward to having the opportunity to welcome you, make you feel at home and try to share what we can with you whilst you stay with us. The region has so much to offer so many people and we sincerely look forward to welcoming you into our home and sharing the experience with you. Chris and Katy. Silver Darlings, Ullapool. Purchased by Chris and Katy in the summer of 2014. Opened for Loopallu festival 2014 after extensive renovation. Name comes from the affectionate term used to describe the shoals of Herring that were in great abundance round the shores of Scotland in years gone by. 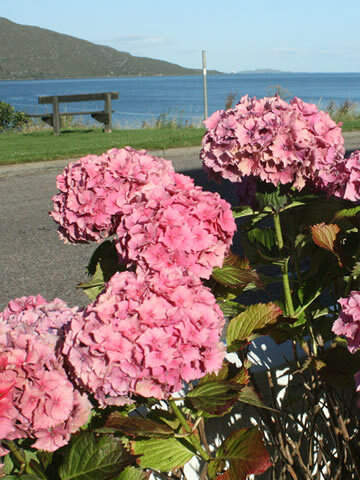 We aim to offer a great welcome and base for those wanting to visit and explore Ullapool and the Highlands.